Billions of people are connected by mobile devices, with unprecedented processing power, storage capacity, and access to knowledge — foreshadowing stunning possibilities. This potential is multiplied by technologies such as artificial intelligence, robotics, big data processing, the internet of things, autonomous vehicles, 3-D printing, blockchain, etc. 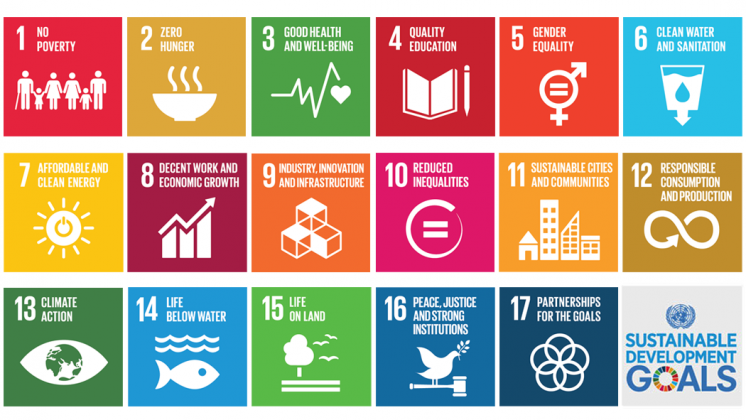 Press Releases: World Bank Bond Highlights Investor Focus on Sustainable Development Goals. Swedish Insurance Group Folksam invests in World Bank bonds to raise awareness for health, gender, responsible consumption and production, and climate. WASHINGTON, February 12, 2018 – The World Bank (IBRD) has issued a US$350 million bond that raises funds for its development activities around the world, while highlighting four of the 17 Sustainable Development Goals (SDGs). The sole investor in the bond is the Folksam Group, one of Sweden’s leading insurance and investment management companies. Article published on http://www.worldbank.org on November 28, 2016. With the Paris climate agreement in full force, countries around the world must now get down to the serious business of addressing climate change. Cities – responsible for two-thirds of the world’s greenhouse gas emissions and 70 percent of energy consumption – are on the front lines. At COP 22, the Bank highlighted three of its newest tools to help cities meet climate challenges. Below a very interesting blog post focusing on Statistics. Better data leads to better lives. World Statistics Day celebrates the role of statistics, the institutions and individuals that produce them, and the impact they have in designing and monitoring the policies and services that can improve people’s wellbeing. Article originally posted on the World Bank website.